Rapid technological development is transforming all aspects of today’s business ecosystems. And banking is being transformed by digitisation more than most industries. Banks are facing a wide range of developments – from blockchain and distributed ledger technology, robotics and artificial intelligence, to mobile payments, faster payments, open banking, cryptocurrencies and cloud computing – to name a handful. These are converging at an unprecedented pace, creating a wave of opportunities and challenges, demanding a response from incumbent banks. As an industry built on monolithic legacy systems and traditionally encumbered by layers of compliance processes, internal hierarchies and competing priorities, banking is not known to be the most nimble of industries. This has paved the way for smaller, more agile, and focused financial technology firms (fintechs) to rapidly build solutions that offer alternatives to banks’ existing products and solutions, and disrupt our current business models. There is much anecdotal evidence to show that fintechs are beginning to encroach on the space traditionally served by banks, particularly in the B2C area – from peer-to-peer lending and peer-to-peer payments, to savings and investments. Many take a hypersegmented approach to the financial value chain, concentrating on specific, niche issues that banks, with our complex legacy systems and competing investment priorities, have so far either been unable to address, or have done so inefficiently. How to respond – compete or collaborate? The industry narrative around fintechs has evolved over the past few years – from casting them as disruptors to potential partners and enablers, offering banks a way to innovate. However, we are well-aware of the threat they continue to pose to our industry. A 2017 PwC survey showed that most banks fear losing business to innovators, especially in payments, fund transfers and personal finance. The vast majority (88 per cent) of survey respondents said they worry that part of their business is at risk to standalone fintech firms. The business at risk is estimated at 24 per cent of revenues. As incumbent banks, we cannot stand still. It’s imperative for us to determine our strategic response – are we going to try to keep the status quo and compete on current footing, or are we going to find ways to collaborate with the new players? Competing with fintechs will mean continuing to provide services in the sectors they have entered, hoping to limit their advance or to reverse it through innovation, investment, and compelling customer propositions. As incumbents, we have the credibility, access and client relationships new entrants have yet to build. Collaboration, on the other hand, poses several other options: we can invest capital to develop a fintech’s offering, develop commercial partnerships, or simply provide financial solutions and infrastructure that enable them to implement and scale their business models. A number of banks, Standard Chartered included, have set-up new business units mandated with investing in fintech and other start-up companies, to promote rapid testing, drive innovation, and implement new business models. One of our important investments is in Ripple, a leading distributed ledger company, to co-develop commercially viable applications for global trade and payments. Since 2015, Ripple and an advisory team made up of a diverse set of transaction bankers, including Standard Chartered, have been building the Rulebook – a common framework that ensures operational consistency and legal clarity for transactions made over Ripple’s technology. We have also invested in Paxata, an enterprise information management system that improves the way bank employees use data to make better decisions. Another form of collaboration is undertaking commercial partnerships in areas where fintechs have made significant inroads. Banks either provide the network – enabling fintechs to leverage banks’ existing client relationships – or simply plug-in a fintech’s capabilities to help them extend their traditional offerings. We’re pursuing this form of collaboration with London’s TradeIX, which provides a blockchain-based trade finance platform for banks and their corporate clients. The platform is being used in a project to rewire open account trading and to make it easier to move goods and credit around the world. We are also connecting with Infor’s GT Nexus Commerce Network to provide a working capital solution by using digitised supply chain information in the cloud. 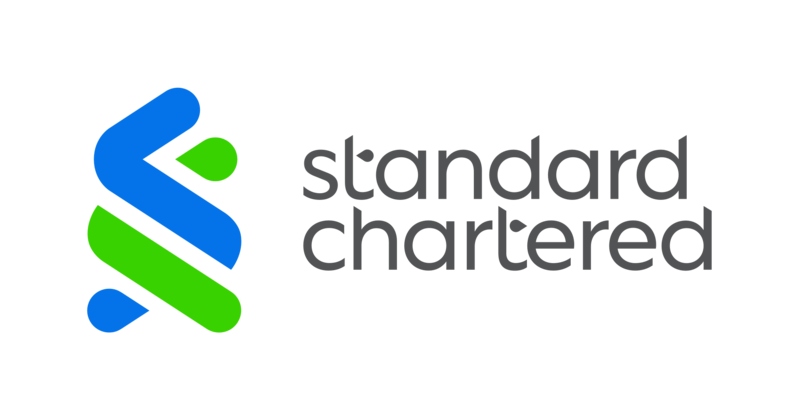 The collaboration will give more than 28,000 buyers and suppliers access to Standard Chartered’s trade financing solutions, covering both pre-and post- shipment financing. Another example of collaboration is an initiative by the Association of Banks in Singapore(ABS),the Monetary Authority of Singapore and four technology companies to use blockchain technology to create a cheaper, safer and faster way of conducting cross-border interbank payments and settlements. Standard Chartered is one of the 11 ABS banks involved. Another option would be to offer fintech providers and other start-ups financial products and solutions that enable them to build and enhance their core propositions. Banks can provide the processes and infrastructure to enable fintechs to focus on developing their niche technology and customer-facing solutions. A well-known example of this is Apple Pay. Apple’s digital wallet service allows payments to be made through a consumer’s mobile device. The technology company still uses traditional payment banks as part of the ecosystem to process the payments, while focusing its efforts on the customer experience. While it can be argued that banks lose some interchange revenue as they discount interchange fees or processing fees for Apple, they are making up the lost revenue through increased transaction volumes. Banks like Standard Chartered with international presence, scale and reach also enable fintechs to deliver propositions, without necessarily having to set-up expensive infrastructure themselves. One example is a collaboration we announced this year with Airwallex, an Australian fintech start-up, to provide solutions to businesses to allow them to make international payments. Another is an agreement we signed last year with Alipay, the digital payments platform owned by China’s Ant Financial Services Group, to allow interactions between our customers’ accounts and their Hong Kong Alipay wallets. There is no one-size- fits-all banking response to the rise of fintechs. Whatever the response however, one thing is clear – the need for us to educate ourselves, weigh up our options, and cooperate with each other to come up with a measured, not reactionary, response to fintechs. Banks must equip ourselves – both on an individual and franchise level – by learning what fintech is all about. As individuals, it would be advantageous for us to gain first-hand experience of fintech offerings by becoming users of their technology ourselves. By getting hands- on experience of mobile wallets, online trading and so on, we teach ourselves to become ‘fintech-natives’. At a franchise level, we can explore how we could interact with fintechs and other start-ups in our markets, weighing up the opportunities for collaboration. We at Standard Chartered do not have all the answers. Rather, we want to continue to work with our clients, sharing the power of our collective knowledge, experience, expertise and networks. The best way to respond is together, learning from each other and making joint decisions in the many areas where there is shared common ground. Through cooperation, each bank educates the other, and arrives at conscious, well-thought-out solutions, rather than being pushed into rushed responses. As a banking community, we need to be proactive, not reactive, to the challenges and opportunities presented by the rapidly-changing financial services ecosystem.